Last night I was able to join my guild’s Karazhan raid in downing Prince and Nightbane since one of the members opted out. (basically Swath didn’t need anything from the two bosses). 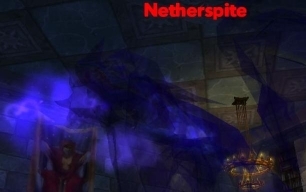 Good thing he did because Nightbane was generous again in dropping The Shield of Impenetrable Darkness. I ended up out rolling the main tank and winning the shield. – Turn Undead(Rank 3):This spell has been reworked and has been renamed to “Turn Evil”. It will now work on Demons in addition to Undead. Turn Evil is subject to diminishing returns, and lasts 10 seconds in PvP. – All Retribution Paladin Arena/PvP sets (S1 and S2) now all have Resilience. What started as an exploratory run (understanding the fight) ended up downing a boss for the first time. My Raiding Season is Over. Recovery & New Surroundings. December 5, 2017 "AD"